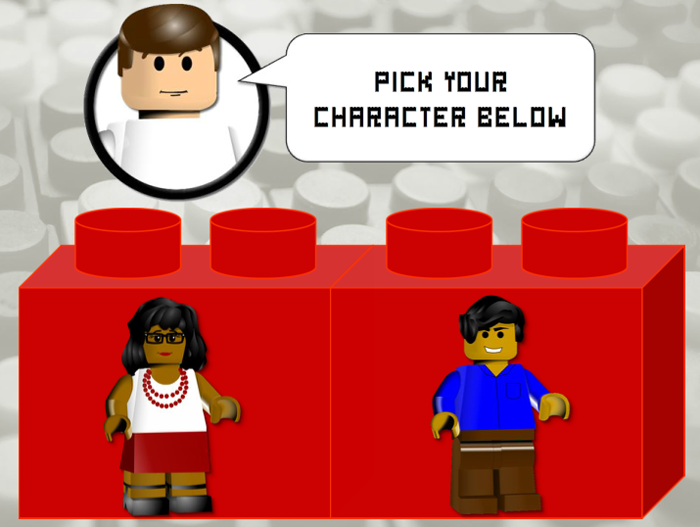 When your avatar is selected, it sets a variable that controls their appearance during the course. Background images were sourced from a creative commons public domain search and the Lego-like font was Danish Bricks from Rafael Hoffmann. The Lego bricks used throughout the course were built using simple shapes and then grouped together. Your host is distracted and a pan in the kitchen catches fire! 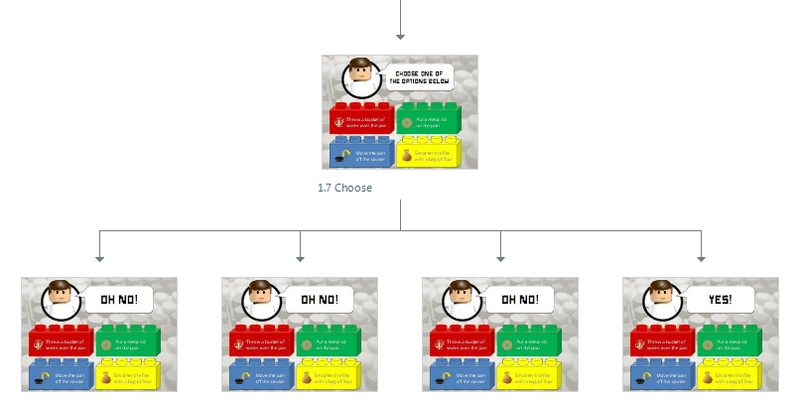 The course narrator — another Lego character from the Articulate Community — provides you with four options in dealing with the fire. This provides the branching scenario part of the course and provides the learner with an interactive element that will affect how the course progresses. Various feedback and consequences are delivered to the learner based on their selections during the activity.